Given the fondness for analog synthesizers so prevalent among today's electronic music producers, you would think that re-releases like this one would garner more excitement. 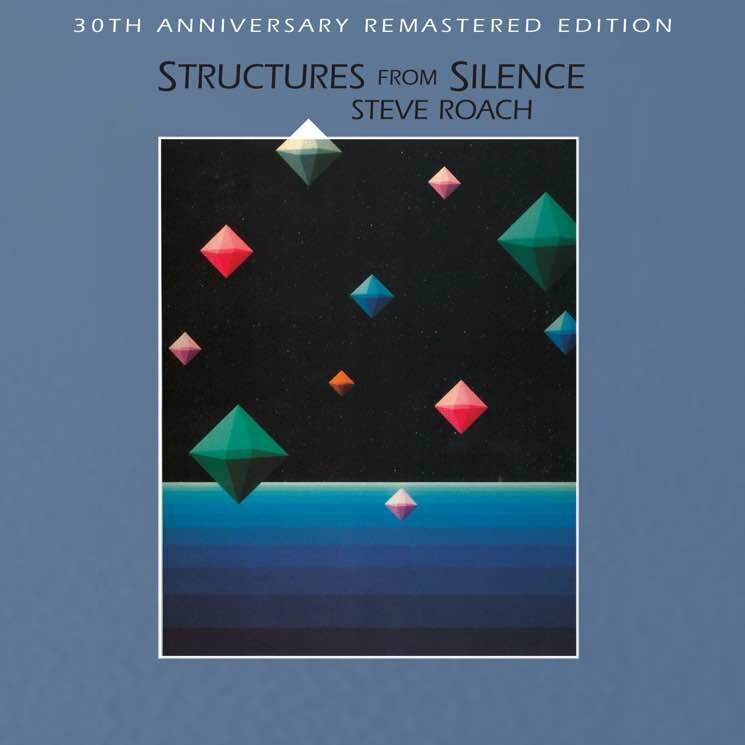 Steve Roach's 1984 LP Structures From Silence was a huge success in its day, but like so much else that came out during that Orwellian period, it sounds very much like a 30-plus-year-old recording. Whether it's our rapidly decreasing attention spans or simply the plethora of new toys available to composers, the direction electronic music has taken in the last decade has left Roach and his contemporaries behind. In a 140-character universe, Structures From Silence feels very much like a long read. Which is a shame, because the record is genuinely extraordinary. Before the new age mania of the late 1980s, Roach, Brian Eno and others were making music for meditation (formal or otherwise). It was a radical departure from the commercialism of pop and the formality of classical music. Armed with the day's cutting-edge tech, those ambient music pioneers kick-started an approach to composition that we're still working through three decades on. Structures From Silence features three tracks, all updated from the original analog mixes. "Reflections in Suspension," a study in synth washes, is effective, but not overly memorable, while "Quiet Friend" a straightforward minimalist piece, manages to capture a warmth that few synthesizer recordings from that time came close to. It's beautiful, like a late summer morning.